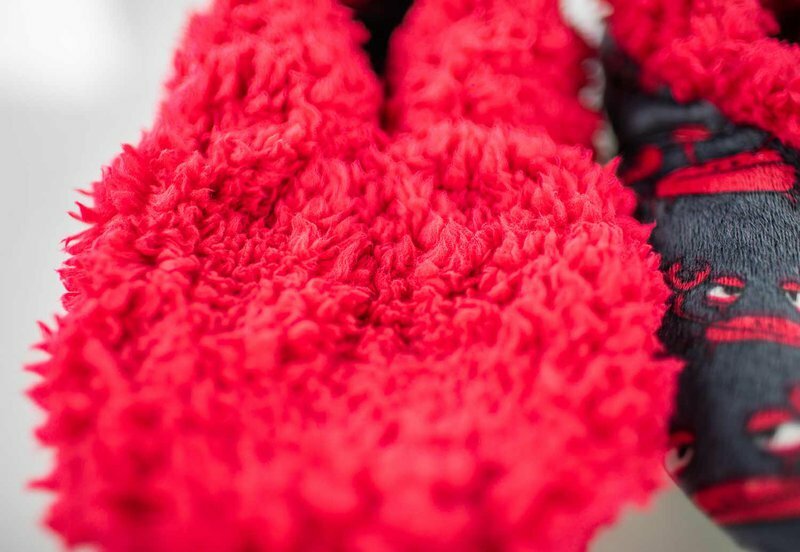 What makes our Fuzzy Feet so much better than any other plush slipper you can get? Well first, the outside is made of a super soft microfiber with the design permanently printed in a way that wont fade or bleed. The microfiber makes the outside of the slippers much softer to the touch than the standard polyester other slipper companies use. If you can believe it, the inside is even softer than the outside! It is made with a high pile Sherpa Fleece that feels like a cloud. This is the stuff that makes the slipper very fluffy, warm and comfortable to walk in. 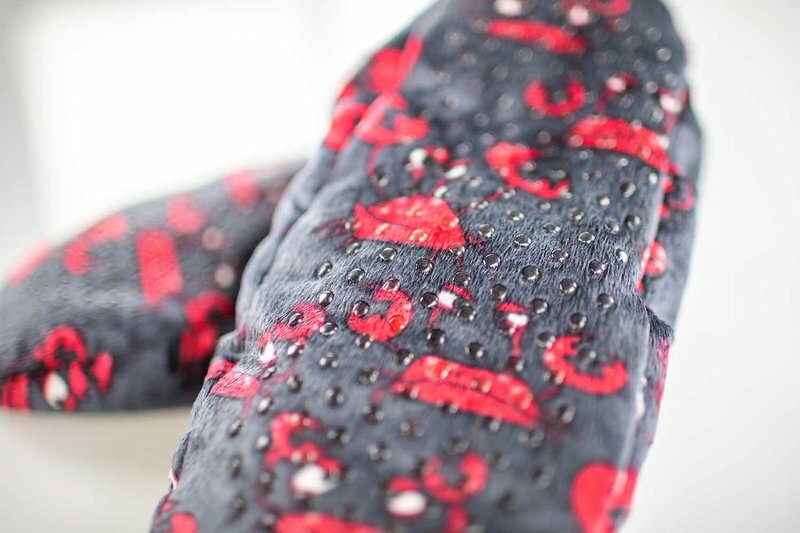 We have sewn in a narrow elastic band around the outside of the opening to keep it from falling off, and the sole of the slipper has rows of non-skid rubber dots fused to the fabric to help prevent slipping on hard surfaces. Pro Tip- Most of the Fuzzy Feet designs match our pajamas so you can accessorize with your favorite design and lounge in style! Choose from dozens of styles and treat yourself to some Fuzzy Feet here!